As much as we love taking landscape and aerial photos when traveling, there will always be something intriguing and magical about shooting underneath the sea. Dive in and go deep into underwater photography each time you go diving or island hopping to experience what it’s like to shoot photos of schooling fishes, colorful live corals, and other marine creatures. 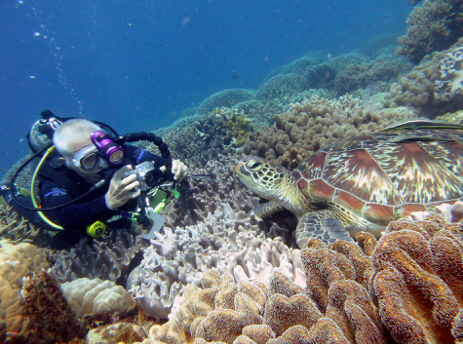 First things first: you’ve got to get your camera ready for underwater photography. It’s scary to dip your precious and expensive camera into the water without any protective gear, right? 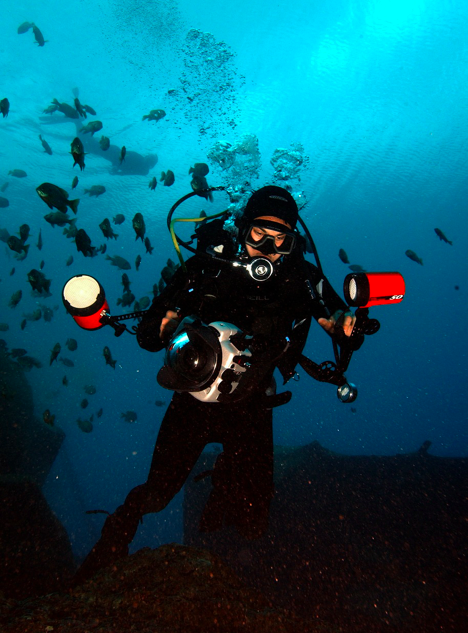 Invest in underwater camera housings that are durable and compatible with your camera model. The housing should also allow easy access to the important buttons on your camera. A macro lens is perfect for underwater photography because it can magnify small marine creatures and emphasize details like fish scales and colors of coral reefs. But if you’re going to shoot whales and enormous reefs, use a wide-angle lens for the perfect wide-angle shot. 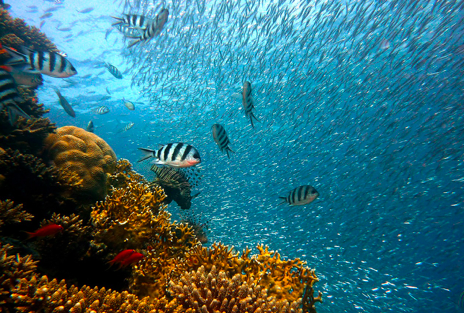 As you flap your fins, sand and plankton will float around the body of water, causing backscatter in your photos. 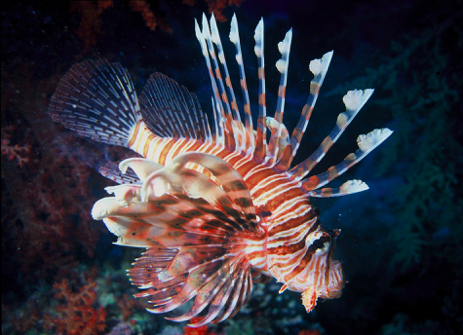 Backscatter makes your underwater photos look blurry and out of focus; to minimize or prevent it, use lighting equipment such as strobes or an external flash. Learn to position your strobes properly and make sure that they’re far from the camera because if light is too close to the lens, backscatter becomes more visible. Consider shooting near the surface or down deep because these areas offer good visibility. If you’re not yet ready to go down deep in the ocean, you can still shoot a couple of feet away from the surface. 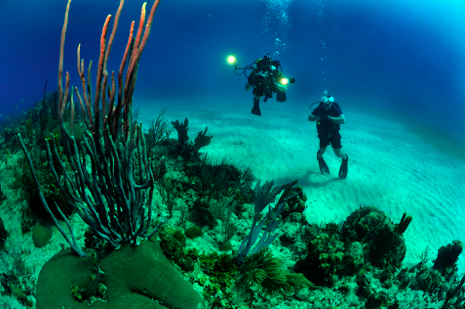 Learn how to maximize the use of ambient light when photographing underwater. This way, you can capture the calmness of the sea and the beauty of the colorful low-lying coral reefs without using any strobe. 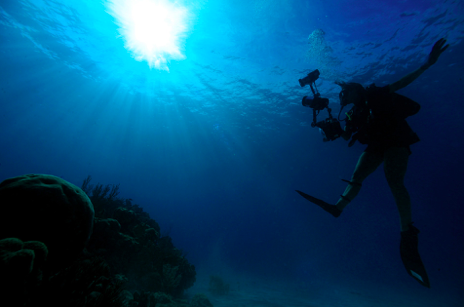 Shooting underwater is very much different from shooting on land because of the lighting conditions. It’s more challenging to get good lighting when you’re taking photos underneath the sea. Get close to the subject to properly emphasize your subject and prevent blurry photos. 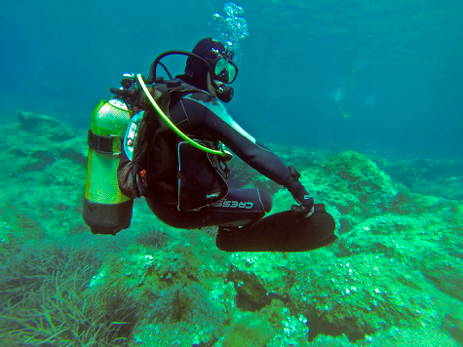 While doing so, make sure you’re relaxed so that marine creatures won’t get spooked or worse, see you as a threat. Try to go down to the subject’s eye level or shoot them upward so that your photos show a clear view and details. An upward angle shows the context of the image to the viewers. Don’t forget to include the blue water as a background so that it’ll be obvious that the subject you photographed is underwater. Avoid shooting downward, except when taking photos of beautiful details of the subject’s back. Just angle it in a way that highlights the back details, so your shot wouldn’t look as if it’s just snapped from the surface of the water. Marine creatures aren’t the only ones that can be photographed underwater. Do some fun underwater poses and don’t forget to record your underwater adventures! 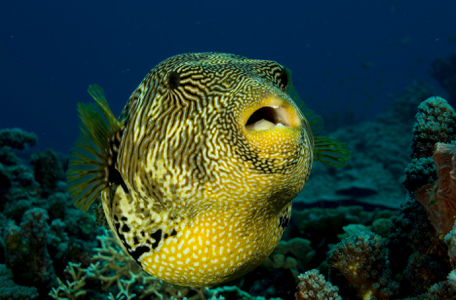 Underwater photography can be twice as hard as other types of photography simply because you’re underneath the sea. You may not get the shot easily, but with frequent practice and patience, you’ll eventually get the hang of it. As a beginner, take time to get to know the craft and grow your love and passion for it. 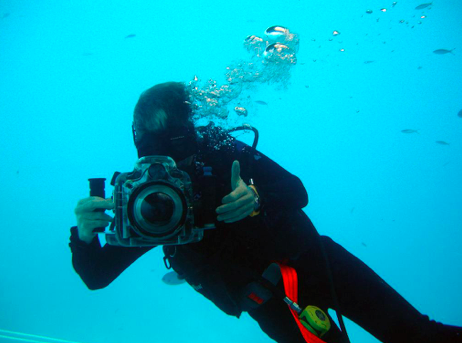 Who knows, you might even become the next best underwater photographer! Liz Pekler is a travel photographer with almost 10 years of experience in the field. When she is not out exploring the world, she likes to share her knowledge about photography and travel through writing for blogs.